Up until now, geolocation has been primarily the high tech smart tool for savvy retailers and suspicious parents of teenagers. Parents are able to track their social and mobile teenagers to ensure "they are where they say they are," while retailers use the GPS in the smartphone to tell them when a customer enters their store. Knowing this lets the store better personalize the customer experience and provide relevant promotions to sell more products. 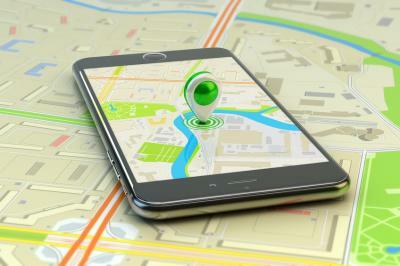 Banks can learn from both parents and retailers alike when it comes to geolocation. Banks first dabbled in geolocation, using their apps, to provide ATM locations and branch hours of operation. However, its use is changing, with a few pioneers using their customer's smartphone to fight credit card fraud. In October, US Bank rolled out its geolocation service. This service, developed by Visa, is currently available through the US Bank Flex Perks Visa mobile app and the Elan mobile app, and will be bundled into its US Bank mobile app at a future date. The client first has to "opt-in" to accept that his phone will be tracked. When a payment is made with his credit card, the bank will instantly know if the phone and its owner are in the same vicinity. Let's say the card shows up in London and the phone stays in Los Angeles - red flags go up. One community bank in TX has been using geolocation for four years already. They are using Ondot Systems' technology, which allows users to get transaction alerts, view card purchases and even limit spending by locations. The client creates his own purchase maxima and decides in advance which geographical areas are allowed. An alert is sent if the card is used outside the allowed zone. At the same time, it should eliminate embarrassing moments for the customer. For instance, when on vacation or on a business trip, the customer can change his parameters, allowing payments in those new places to go through smoothly. When this new technology was adopted in 2012, fraud dropped by 60% the next year. Because of the success of Visa and Ondot, other companies are starting to take notice. Prosper Daily, a financial app, allows the user to track their spending, check their credit score and receive an alert for potential fraudulent charges. This app works with several banks such as Bank of America, Chase and Citibank as well as credit card and payment companies such as American Express, Discover and PayPal. The interest in geolocation is increasing as it offers an extra level of security at a time when fraud has become a long standing issue. According to credicards.com, 31.8mm consumers had their credit cards breached in 2014. Past data breaches at Ebay, Home Depot, Staples and others highlight the tremendous size of this issue. Banks know very well how to cancel a purchase in FL one hour after the same card was used in NY, but crooks are getting smarter. In these cases, geolocation tags abnormalities in the customer footprint, revealing discrepancies. In a time when privacy is an important issue, banks would be prudent to follow a couple of key guidelines while setting up any extensive geolocation service for their customers. First, ensure that all data is kept safe. Next, customers may feel that geolocation is another way for data to get breached. You need to ensure that all measures are taken to secure equipment and data transfer. Further, remind your customers that this is a benefit for them. You are providing another level of security to help keep their accounts safe. Done right, geolocation could help reduce fraud so keep tinkering with it. Treasuries began to steady after initial reaction to Trumps win, pushing yields down 3bp. JPMorgan has agreed to pay $264mm to settle bribery claims it hired 100 interns and employees in China in return for business. The latest update from Wells Fargo indicates new account openings tanked 44% in October compared to the same month last year. Research by Bank of America Merrill Lynch projects robots will take over 15% to 25% of worker tasks in manufacturing, packing, construction, maintenance and agriculture in the next 10Ys (by 2025). Research finds the average government guaranteed loan requires 150 documents. Research by Bank Director finds top nonbank competitors ranked by bank executives and directors are Google (42%), fintech companies (40%), Apple (39%), PayPal (39%), and Amazon (38%). Research by TSYS of consumers finds payment forms most preferred are credit cards (40% vs. 35% last year), debit (35% vs. 41%), and cash (11% vs. 11%). Kauffman Foundation Research on small businesses finds this group accounts for about 68% of all businesses. Research by McKinsey finds 54% of global banking revenue comes from assets on the balance sheet, however that ultimately boils down to only 41% of after tax profits. Further, when the cost of capital is included, the ROE for holding assets on the balance sheet for the industry is only 6%.